There were two more attacks on subways overnight Tuesday. 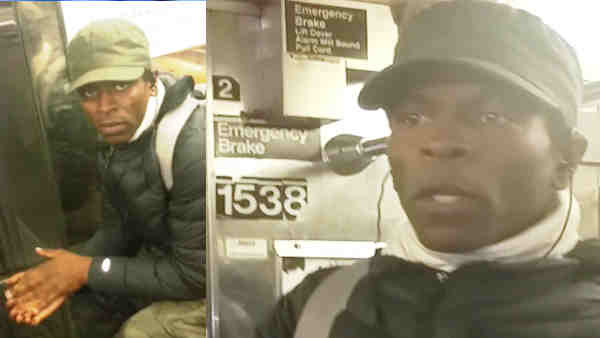 In Brooklyn, a woman was riding a southbound 3 subway between Atlantic Avenue and Eastern Parkway at around 9:30 p.m. when a man told her, "I will chop you up on this train." He hit her hand with an object wrapped in a cloth, causing a minor nick. Police bandaged the wound at the precinct. She never actually saw what was inside the cloth, but investigators said it could have been a machete or some kind of knife. Just 8 minutes later in East Harlem, a man was slashed at a subway station. The victim was standing on the southbound 116th Street platform at East 116th Street and Lexington Avenue in East Harlem. He was waiting for the 6 subway just before 9:40 p.m. when he was slashed in the face by a suspect. No arrests were made in either incident. These are the fourth and fifth random slashings this month. A 71-year old was attacked on the 6 train this week. A 24-year-old woman was attacked in Chelesa on Jan. 6, and a 30-year-old social worker from Newark was assaulted two weeks ago in the East Village and had to receive 150 stitches. Arrests were made these incidents.